Philadelphia's South Street West neighborhood has seen several new cafes, restaurants and shops open in the past year. Last fall we wrote about Magpie, The Cambridge and a few other new faces... here's our take on two more neighborhood spots open for brunch and dinner. At 16th and South, Miles Table is a new casual eatery/coffee shop focused on fresh, high quality yet simple dishes. It's an offshoot of Catering by Miles, which runs the concession stand at the Lombard Swim Club (where we are now on the waiting list, check back in 5-7 years) and is the exclusive caterer for the Gift of Life Donor Program, an important cause to us having both donors and recipients in our immediate family. I stopped in for breakfast after a long bike ride and was surprised at how much foot traffic Miles Table was getting. By the time I left, it had a healthy brunch crowd of couples with dogs outside, hungover hipsters and families with small kids. 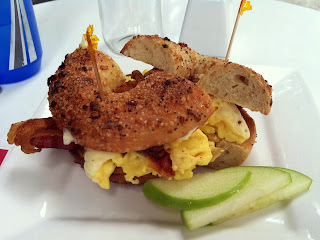 The $6 breakfast sandwich at Miles Table was a hit. Lots of scrambled egg, a good everything bagel (tough to find in Philly), the right amount of cheese without going overboard, and crispy bacon, served with a few nice apple slices as a surprise. toast on special that day. Hello. REX 1516 adds southern-inspired cuisine to South Street West. Having recently been on a food trip to New Orleans, we could easily see its influence in dinner items like crawfish pot pie and a red beans and rice entree. 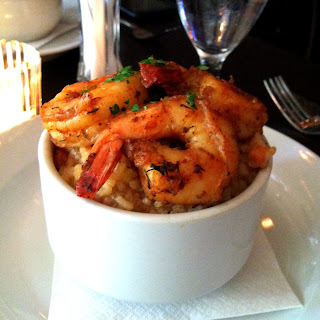 The irresistible jambalaya ($9) did not disappoint in combining pulled duck, andouille sausage, shrimp, tasso ham, peppers and rice into a delicious appetizer with a kick. 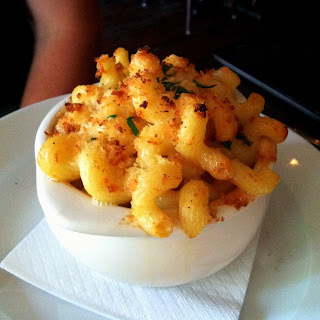 The waiter also rightly nudged us toward the delicious mac n' cheese app ($7) instead of the cheese straws. The mac is made with gruyere, fontina, Swiss, roasted tomatoes and topped with crispy bacon. Remember our rant about fried chicken a few weeks ago? 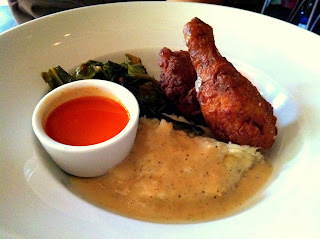 Kudos to REX 1516 for being up front on the menu that you get a drum and a thigh. Sure tasty enough, plus the mashed potatoes and greens were killer, but still pricey at $18 for not being the best friend chicken in town or providing a meatier chicken breast. Bradd didn't bother with much of the housemade hot sauce; he thought the chicken tasted better on its own. I had a special halibut dish that was the only slight disappointment of the night. The fish itself tasted fine but the risotto underneath, which always perks my interest on a menu, was bland, as was whatever vegetable sat on top - I can't remember so it clearly didn't leave an impression. Better flavor above and below the halibut could have turned an alright dish into a great one. REX 1516 was smaller than I expected inside but has a jazzy New Orleans vibe that you don't find many other places in Philadelphia. I loved the exposed brick, wall trim that made it look like paintings (stealing that idea for home someday), rehabbed furniture salvaged from churches and mansions, and soulful soundtrack. Both of these spots are welcome additions to South Street West. They also offer the opposite meals as described here: Miles Table is open until 8pm Mon-Sat and 6pm on Sun, serving breakfast all day (score!) plus sandwiches, salads, burgers and pizza. REX 1516 serves brunch on weekends with both traditional and southern cooking - crawfish in your huevos rancheros anyone?